Understated yet stylish in a sumptuous yellow gold plated tone, this the perfect stylish accessory for your daily looks. 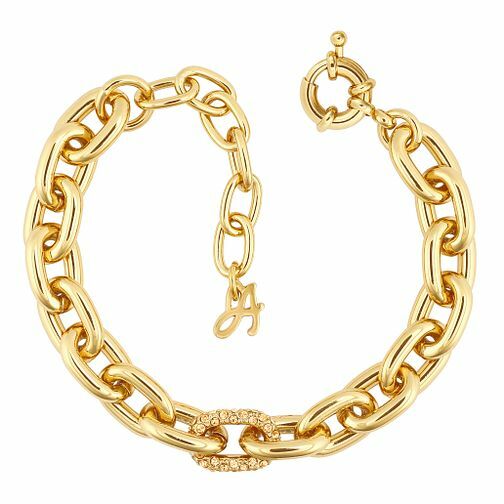 Every fashion forward woman knows a simple bracelet is just the accessory you need to add that subtle touch of glamour to your wardrobe. Adore's jewellery mixes delicate metalwork and exotic shapes with fashion-forward minimalism.